September 8, 2014 – Mary Ann Ritchie – What to plant for bees. 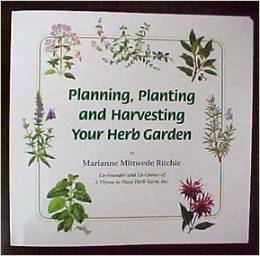 She will be bringing her book for sale, Planning,Planting,and Harvesting Your Herb Garden, $12.95+tax. October 13, 2014 – Michael Sandridge from Sandrige and Sons Honey – Fall management, preparing hive for winter. November 10, 2014 – A Panel Discussion. December 8, 2014 – Member potluck dinner. Musical entertainment. January 12, 2015 – Mosquito Squad will talk about how they do this and not hurt pollinators .